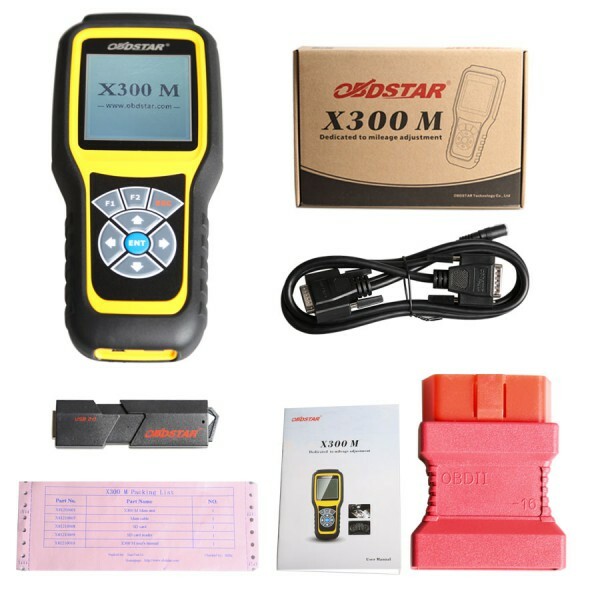 Recently obdstar company released another mileage correctionobdstar x300M OBDII. It’s the powerful odometer correction tool and supports much more makes and models than the old version x100 pro D type. OBDSTAR X300M Vehicle Coverage:AUDI/VW/SKODA/SEAT, BENTLEY, BENZ, BESTURN, CHRYSLER(CHRYSLER/DODGE/JEEP), CITROEN, FORD, FIAT, GEELY, GM(BUICK/CADILLAC/CHEVROLET/HUMMER), GMC, GREATWALL, HYUNDAI, INFINITI, JAGUAR, KIA, LANDROVER, MAZDA, MITSUBISHI, NISSAN, OPEL, PEUGEOT, PORSCHE, PONTIAC, PROTON, RENAULT, ROEWE, SATURN, SMART, SSANGYONG, VOLVO etc. Obdstar X300M odometer correction also supports update online free for one year. After one year, the update fee for another one year is 200USD. Welcome to purchase it on cnautotool with best price 258USD.